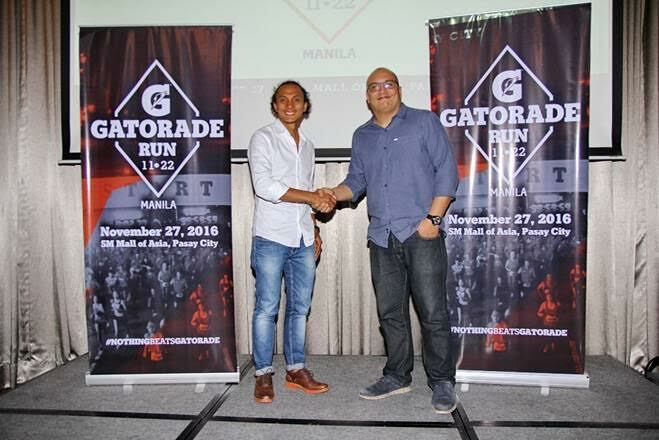 Gatorade, the number one sports drinks in partnership with Runrio is bringing back the Gatorade Run for its second year this coming November 27, 2016 at the SM Mall of Asia in Pasay City. The run will be sporting an 11K and 22K distances. Last year’s Gatorade Run was a massive success with more than 6,000 runners who participated. The event featured hydration stations where participants got pre-race hydration drinks, a post-run hydration test area where runners instantly learned about their hydration status, and a warm-up area where free sessions were available for those who wanted a full-on warm up activity before and after the run. Gatorade ambassadors Jeron Teng, Jaja Santiago, Chris Banchero, Jett Manuel and Ara Galang were among those who were present to support the runners. Registration for the Gatorade Run 2016 is ongoing since 12th of September. Log on to runrio.com for updates and to register for this year's Gatorade Run.